Spring is the time for plans and projects! It’s also the time when millions of Americans gear up for a deep clean of their homes. Dad will conveniently need to run errands right when the cleaning begins, and of course, the children will make themselves scarce in their bedrooms. However, if you manage to gather everyone together and arm them with cleaning products and no escape route, it’s time to let spring cleaning begin! While it’s obvious, typically, what parts of the home need some attention – we’ve included five things everyone forgets to tackle during a spring clean. It can be easy to forget your home has gutters. After all, they’re on the roof out of sight and out of mind. However, you’ll most certainly know when they aren’t working their best, and it’s helpful to include them on your spring clean list to avoid problems later. Get a ladder and secure it to a solid part of your home’s framework. Slowly work your way around the house removing leaves, dirt, and debris until the water can flow freely. While spring is a good time of the year to complete this task, it’s also helpful to do it again before winter sets in. You can read more information on how to care for your home’s gutter system here. If you’ve got a vegetable garden, using your spring cleaning time as an opportunity to get your next crop in is a good idea. Get the gardening gloves on and prepare for lettuce, carrots, beets, broccoli, and cauliflower just to name a few. 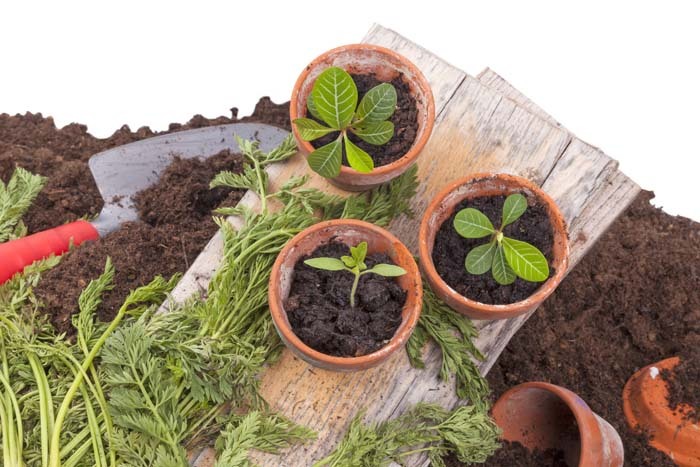 For many people, gardening is more of a passion than a chore, but there’s no harm in making sure everything – both inside and out – is in order during a spring clean. We’ve covered how to improve air quality in your home during spring, but have you ever thought about maintaining the systems that provide that better level of air quality? During spring cleaning, or even whenever you vacuum, remember to clean out air filters in filtration systems and heat pumps. Any heating, cooling or filtering appliance you use should be checked and maintained on a regular basis. Not doing so could result in replacing those appliances more often or a lack of efficiency. The bed is often forgotten about. You pull up the covers, tuck in the sheets, and the room looks tidier. As they say, it’s going to be a good day if your bed is made, but, during a spring clean, you need to do more! Air out the mattress, clean and air out sheets, and consider rewashing all linen you haven’t used in six months or more. Making the bed is a good start, but giving it a complete overhaul is an even better one. We often consider a spring clean to be just inside the home, but the garage is technically part of your home too! Aptly named the cemetery for broken toys, unwanted gifts and “works in progress” it’s all too easy to let it get out of control. Use the spring cleaning season to give your garage a complete overhaul. Remove old junk, donate usable goods to charity, and add a sense of order a space that’s traditionally one of chaos. Spring cleaning season has begun, so there’s no time like the present to get started. Grab the family, make a chore chart, and let the deep cleaning begin!